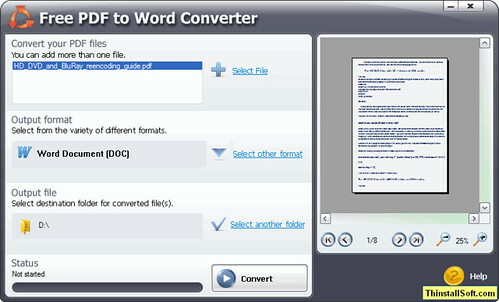 Free PDF to Word Converter from SmartSoft is an excellent PDF converter, it will convert PDF to Word easily. You just need to add the file which you intend to convert into the program and click Convert. It is that easy! This program will create an exact copy of the PDF file. It will retain all graphics, fonts and formatting. It supports all versions of MS Word so that you would not have any troubles editing the converted file. The program works on all Windows systems. This entry was posted in Office & PDF and tagged pdf, pdf converter, pdf to doc, pdf to word, pdf2doc, pdf2word. Bookmark the permalink.